Efficient dishwashing. We all know it. Dishwashing in most families with children is a big and time consuming task. 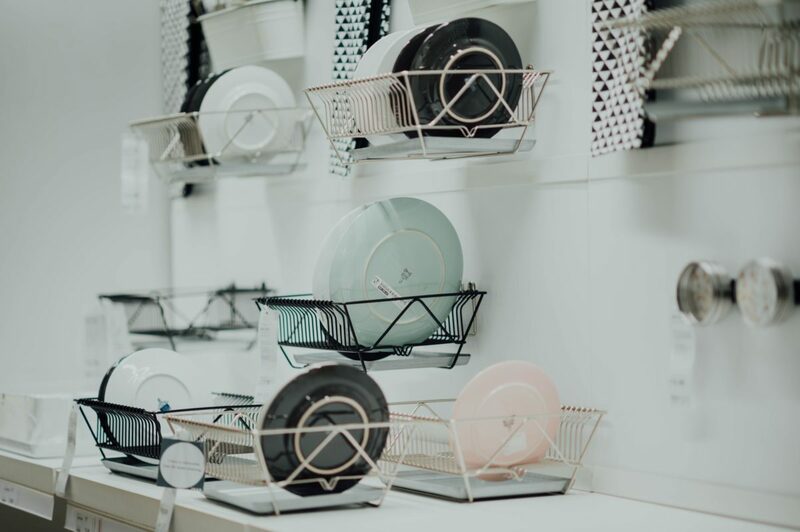 Even if you have a dishwasher, the dishwashing task can be very stressing and needs to be planned and agreed with your husband or wife to avoid stress and discussions, and how it must be done. This theme relates to most couples and families with children. If you want a good plan for this task with no stress, you can read and follow these 7 time saving tips. In the first few years when our children were small, we could not afford a dishwasher and we did it all by hand. Up to 4 times a day. Early in the morning, then when home again from jobs, again after the dinner and finally again late night. Very time consuming. So with 3 small kids we decided to buy our first dishwasher, and have almost only used this for dishwashing the last many years. So much time saved – however, also much to plan, for the work is still there, just to be done in another way. dishwash your cutlery of gold, silver or wooden by hand ? how about the expensive wine glasses which can be damaged in your dishwasher ? We all know these issues and have an opinion of it. Here in our home we care about the most expensive cutlery and glasses and dishwash them by hand, as we do not want them damaged or getting other “colours”. This task is the more manual part. It takes a bit more time, but it is worth that, as we want to protect our most expensive items. That said, we hereafter put almost all kitchen cutleries in the dishwasher. Plates, forks, knives and spoons all come in the dishwasher. Even the bowl used for baking comes in. Calibrate and agree the ambition level. When you have decided on above which items you must dishwash, you have to agree on the level of dishwashing – do all items have to be 100% clean ? No. Some will always have a little dirt and some will still be a bit wet on the top after having been cleaned in your dishwasher, and you have to dry by hand here. In children families there will always be some small rests of the meal hided somewhere in or beyond, and they will not always dissapear even after your dishwasher has run. So here you and your partner need to agree on the ambition level. In our family it has aways been OK if there were some small rest of meal from the childrens cutlery. However, if we had the time, we cleaned this by hand afterwards. An important issue is of cause who does what, and when it must be done. Very often the task is done during the cooking or by preparing for the meals. And it always disturbs when you at the same time have to take care of your children, secure they get the right food, and not are getting dirty and waste the food on the floor. So, a clear agreement here is strongly recommended. First of all, we normally start our dishwasher when it is full or almost full. And this means normally it runs once a day, and by us it is normally full. The time is normally in the evening after dinner, meaning it contains items from breakfast, lunch and dinner. Sometimes we also start it for running during the night, and we can do this because our dishwasher generates almost no noice. And the next step is then when to empty your dishwasher. This task is always an issue. In our family we normal do it in the morning before leaving home for work. And if you have bigger children, it is a really good thing to involve them here. In fact this a a good way and place to small talk and plan for the day. This is subject to many discussions and routines in the kitchen. If you are a family with children, this discussion can be even longer, as your things to wash are even more dirty than by normal use. In many families it is a serious topic for discussion how to best fill the dishwasher. Also in our family we frequently discuss this matter. On the upper layer it is important to have a system, meaning so it is easier to empty systematic, and put direct in your kitchen drawer. And it is also important that the spoons, forks and knives are not placed too close and touch each other, as they will then not be clean and can interact metallic. In the middle layer you normally have the glasses and cups. Also here it is important that they do not touch during the dishwashing. Wine glasses are often a problem as they are too high. By us we then also use the bottom layer for glasses. In children families, like us, we also put the youghurt bowls in the middle layer. In the bottom layer we have the plates and other big items. The big plates in the one side, and the small plates in the other. And again here, it is easier, when you empty your dishwasher for plates, that they are a kind of organised. I our family we also have a a dog, who always wants to taste the rests (if any) on the plates before running the dishwasher. Best advice here is to put the dog an another room while filling your dishwasher – dogs loves this but it it not so nice to see this ektra cleaning by the dog. A good way to be in good shape with dishwashing is to make it a little bit more fun. If you are a family with children it is so nice to involve them. No matter the age. Small children love to help you, and for teenage children the dishwashing task together with the parents is the chance to discuss, plan for the day and have quality discusssions. And, in our home, we have a TV in the kitchen. We have always said that this should never be the case, but in fact it is. And we really love it. We spend much time in the kitchen, so many of the News channels we see here. Also looking sports during the dishwashing or cooking is so nice. Finally it is a good meeting point when teenage children walk in and out of your house. If you have followed these 7 tips, you for sure might feel having a plan, minimizing your stress and thereby save time you can use with your children. Investment in a dishwasher is strongly recommended if you have children. The time you save is so much worth. Agreements on the ambition level of which items to be dishwashed, and agreements on who does what and when, are key elements for your family. The more practical tasks on how much to fill up and when to start, stop and emptying are all handable issues if you have a systematic plan to follow each day. Finally, making the daily dishwashing tasks a bit more fun can bring so much quality in your family, as this can be the place to meet. Of cause the setup will be very different for each family, but thinking this way will bring a lot of value in your family. Stress Management in Your Household – How To Manage Stress in Your Daily Household By Working With 7 Powerfull Timeslots. This blog post is most about stress in your daily household. In regards to all the practical tasks you have to do to have a nice day. We all know it. Thinking about how to have the best” rest of day”, when our work for the day is over. But how about cleaning, sports, family, cooking or personal time ? We all want to do our really best, but it can be very hard and stressfull to achieve all of it, and also mentally frustrating. Personally I have tried it, also as my kids grew up and became more and more indepent of us parents. Here it is even more important to manage your time, as the risk of spending your free time on just more work is very high. Working systematicly with timeslots is the answer. Timeslots can help you manage your day after work and to a higher degree feel confident, relaxed and not stressed. Cleaning and vacuuming in your household. This is really key to have a plan in place for, and there are a lot of things you can do here regarding vacuuming. I guided this in one of my previous blog posts about “Robot vacuuming or Traditional vacuuming”, you can read more here. Sport and exercises. This is very important to prioritise for your stress prevention. Being fit is a very effektive tool preventing stress. You concentrate 100% on something else than work, performance, family, kids etc. It’s about you personally, and no one else. Sport and exercises give you the power to resist stress in a fantasttic way. And as a bonus you also get physically healtier, also if you have a job where you sit down most of the day. For me personally it works the best way by doing this as the first thing after work. Just after your working day ends and just before you are pushed with family responsibilities and tasks . and you need to have this in place. Find some good recipies and do your shopping in due time. Then you can do this timeslot with absolute no stress. Family time is important. Being present and relaxed with your family and kids is probably the most important thing to spend your time on. Playing with the smaller kids or talking with your teenagers and partner. This is what life is real about. This makes you mental rich and more confident and relaxed. Your stress will be pushed in the background. Computer work is very time consuming . When first switched on, it can be hard to switch off again, and if not, it is often swithed on until you go to bed. In this case you are online all the time and you are not relaxing at any time. So limit this to a very fixed timeslot. Respond and write your most important stuff as the first. Skip chats and prioritise only the needed internet browsing. TV time is nice and what most of us are looking forward to as the end of the day. In fact streaming has to a large part taken over, after the News. A good film is mentally healthy and makes you relax. Again, when you are aware of TV time as a timeslot, it is easier to stop when the film is over. Planning for sleep is the last timeslot of the day you should plan for. The working day and your timeslots are over. At this time of the day you should not be influenced by (social-) medias, sms or mails. Do some reading or maybe a little music before you go to bed. For me a mental planning of the next day, eventually writing the most important agenda down in my electronic notebook, makes me more relaxed and get the deep sleep. Having a good plan for these 7 timeslots will for sure give you less stress in your household. And very important, in this process a lot of modern electronic household equipment and devices can help you save time and feel less stressed and have more living. I will write more on this in coming blog posts. You can write time slots down in your calendar, or have them in mind if you can. Which method doesn’t matter. Key is that you can manage them every day. You can also swap some the timeslots, but key is that you know the importance of this systematic thinking for making your daily life and routines easier. After a working day having all these household tasks done in a systematic way, you sleep better, live better, are mental more in balance and have no time thinking about stress. Try it out by your self. It works. Robot or Traditional Vacuuming – the most efficient method. Best Way to Efficient Vacuuming. This theme sounds really boring, right ? An how difficult can it be just to swing your manual vacuum cleaner once a week, and then have most of your weekly cleaning tasks done ? For many it is just a routine with no worries or concerns. However, it is ALWAYS an issue in a modern household. Because we all need to clean our homes frequently. Mostly for the feeling that our home is clean. But also because it needs to be clean for health reasons and it makes you feel well. And if you have allergy or pets in your home, the need is even higher. So, in a modern family household with an active family living, getting the traditional vacuum cleaning done once a week or more can be really stressfull. Because we all want to do our really best, have a nice and clean home, have more time for doing so many other things like taking care of the children, go shopping or doing our sports. One of the first things is to agree on, is WHO in the household does the vacuum cleaning. Is it the wife/ mom in the house? Or the husband/man ? Or maybe the grown up children for a small pay ? Key is the to have an agreement at all, so no one feels unfair. Best advice is to agree on it upfront in the whole housekeeping perspectice, so you help each other sharing all tasks. In fact it can be FUNNY when you can follow the progress, well knowing that all the other tasks are also being done. You can also look it in this way – what is the alternative ? Other household tasks. Once you have the plan, it will NEVER be a discussion point. Why is it so important to have a plan in place? 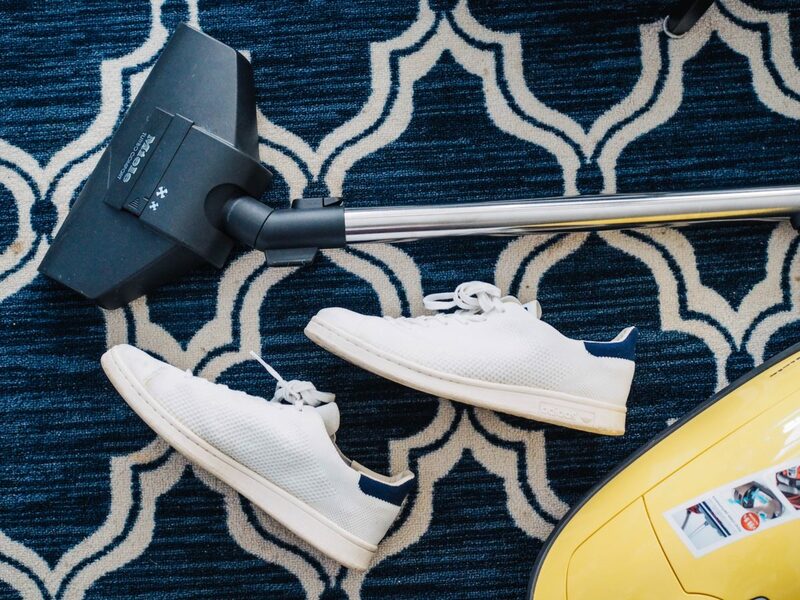 Because vacuum cleaning is one of the most important cleaning activities in our households. Imagine you did not do the vacuum cleaning for weeks in your home ? How would you feel ? Not that well. And inviting friends or family in your home which has not been cleaned for a long time ? For sure not fun. Making a well defined plan for your vacuum cleaning is so important. But once you have agreed with your family on WHO would LIKE to do it, and have the PLAN. you have in reality have made your first progress. This is a very common and fair question. Personally, it is important to have some fixed time slots vhere we do it in our family. Trying to define some “basic” time slots for cleaning where you do your vacuum cleaning. First timeslot could be in the weekend, after you have done your shopping. Reserve eg. one hour each weekend for this task getting done – and if you finalise using less time, you in reality have “gained” time, which is such a nice feeling. You can also think about a more light version of your vacuum cleaning. That is also allowed. Arrange it eg. in one of the the days in the week just when you come home, and before your dinner. And again, reserve a “mental timeslot” doing this – and again, if you finalise before, you in reality have “gained” time , which you can use on your family and yourself. Another very important thing is your physiological situation. If you are strong and fit, you can do the traditional vacuuming very fast by yourself, and with no further thinking. But if you are older or maybe weaker or not so strong anymore, the manual vacuum cleaning is not that easy. And the planning and doing becomes much harder. So your phsiological situation is of great importance for how you do the plan. And here, also do not forget if it is YOU that have the responsibility taking care of eg. parents or other family members or friends that needs help. Today there are so many different models in the market, and you can always find one fitting exactly to your need. One of the big differences is with or without cable. The old traditional vacuum cleaners with cable is still a good choice for the most of us. However, there are so many new models in the market which do not have cable, which makes the manual vacuum cleaning so much easier. The dust reservoir instead of dust sack is also a new feature in the new generation of vacuum cleaners. In reality, you do not need a vacuum cleaner with dust sack, but just have to empty the dust reservoir this is very easy on the most models. As in the header, this work is still manual, meaning requiring your or another family members time. And if you are the busy family mom or husband, this can be a stress factor if you do not have the PLAN. And if you for some reason have physiological problems, the use af a manual vacuum cleaner might be difficult. The placing the manual vacuum cleaner is often problemtic if you do not have the room for it. And they are not that nice to look at. You can save a lot of time, which you can prioritise to your family, doing sports or do your shopping. Once installed, the vacuum cleaner will work for you automatic or whenever you want. Remote control also helps you a lot. Pricepoint still high before you reach the good models. As you do programming on your robot vacuum cleaner, and thereby have fixed working aeas, this can limit some places of vacuuming. Stairs and corners can of be a little tricky to handle. Robot vacuum cleaner. We all know it. The weekend has come. And now the weekly cleaning is on the to do list. Vacuuming is a mandatory part of it. And either you love it or you really hate it. But this weekly (and for many families more times a week) task is not that interesting because is a thing that just has to be done. Agreements must be made on who has the task. And how effective and hard it must be done. And if you have animals the need is even higher. So, will you do a light vacuuming, or do you want to make it perfect in all corners? And thereby being sure all dust has been catched and removed? Because the classic vacuuming is very manual and by hand. Because you push or pull the vacuum cleaner around in your home, and it also occupies some space when it is not in use. And if your home has more floors, it is not that easy to proceed the traditional vacuuming. Unless you carry your vacuum cleaner from the one floor to the other floor. If you are a BUSY FAMILY, and living the MODERN LIFE with limited time for cleaning and household, you can make your life easier by having a robot vacuum cleaner. And you can save a lot of time and energy by automating your home a bit. The robot vacuum cleaner costs a little more than the traditional vacuum cleaners. However, your gain of time and life quality is so much bigger. But by choosing a robot vacuum cleaner you are fully independent of using your limited time, and it can work for you when you are not at home. Sounds great? Yes, it is very great. 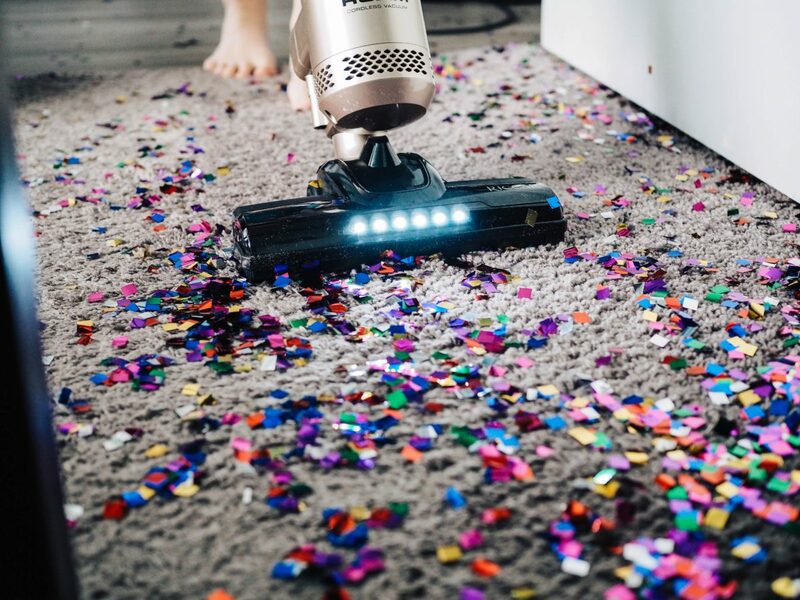 The time you save on the weekly vacuuming you can use on your kids and family, and thereby having more time to do your own interests and sports. Imagine you can go doing sport more times a week, while the robot vacuum cleaner is working for you at home. And imagine you come home to a top clean home every day. Just by telling the robot vacuum cleaner what to do. 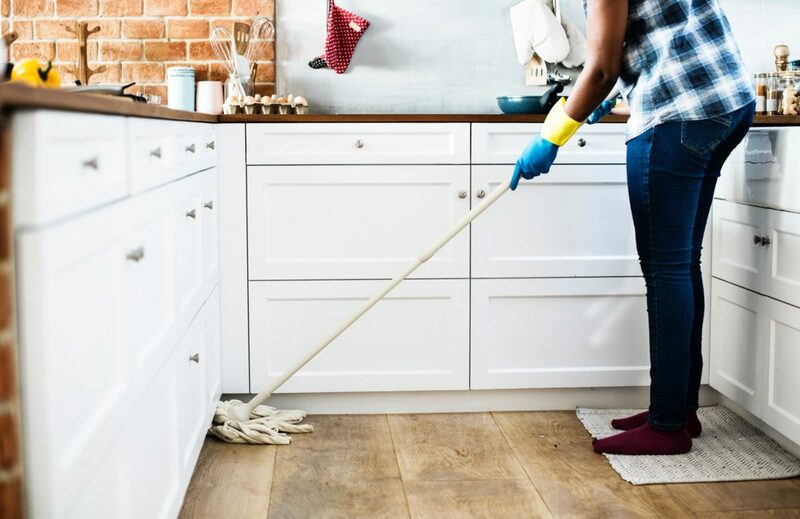 · Big floors with big squares are easy to clean for the robot vacuum cleaner. · Corners can be handled effectively. · Vacuuming under and between your furnitures is easy. · Programming is in important part. You can program new destinations every day, or you can recap everything thereby cleaning the same way more times a week. · On some vacuum cleaners you can do the programming via your smartphone. · ”Parking” of the vacuum cleaner is easy, and needs very small Space. And you can hide it behind or under your furnitures so it is not visible.